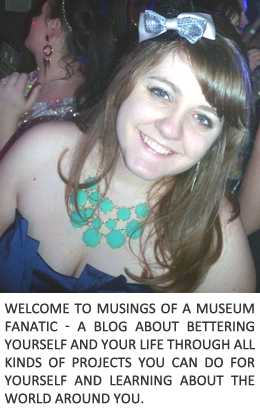 Musings of a Museum Fanatic: Amok, amok, amok!! Not going to lie for some reason this year we went the way of being laaaaame. No going out or costumes for us. Since I have nothing new to share why not join the throwback Thursday group : ) Fun little photo dump from years past. 2011 was the year I went 1980's! My hair started out really poofy but obviously I was using sub-par spray. Obviously if it doesn't make a hole in the ozone it's not good enough! Lesson learned for next time. That was also the year Kelli here almost beat down some chick. It was pretty awesome. Let's just say Ryan got an unwanted prostate exam and Kelli was defending her man! 2009 was Kevin and my first Halloween together and we wanted to do something couply. It started out that way and was hijacked by Stache! We still ended up somewhat couple since I was Princess Peach and my servant Toad. Terry almost died in the ape costume he was soooo hot. One of my go to costumes is a cowgirl since I got a killer cowboy hat in Nashville. I can't seem to find photos from last year anywhere so it seems I've been lame two years in a row!! Can't let that happen three years, better start planning my costume now. Maybe Becky and I will finally be able to go as Bill & Ted or maybe I should go all out as a Disney Princess? What were you for Halloween? The fact that you have amok amok amok as your title makes me love you LOL. I love the princess costume! I say Disney Princess! I ran as Belle for a Disney race so why not?! I love the pics! I ran around yesterday as Rosie the Riveter! We didn't dress up this year either. It made me really sad! Cute pics! I didn't do anything for the last four years- lame! But this year I got dressed up as North West (Kim K/Kanye's kid) for a Halloween party, and then a Ghostbuster for work. I like DIY costumes that have something to do with current events, but that's just me. Hope you had a great night regardless!